Basil – Is Basil Good for Guinea Pigs to Eat? Yarrow – Is Yarrow Safe For Guinea Pigs? Epazote – Is Epazote OK for guinea pigs to eat? Tarragon – Tarragon For Guinea Pigs? Yes or No? 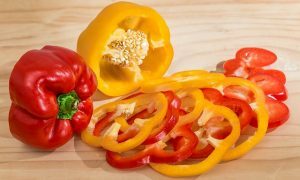 Anise – Is Anise (Aniseed) Safe for Guinea Pigs? 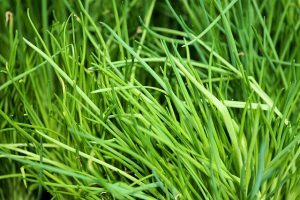 Chives – Are Chives Safe for Guinea Pigs to Eat? Fennel – Can Guinea Pigs Eat Fennel? Can guinea pigs eat the leaves and stalks of fennel? Thistles – Can guinea pigs eat milk thistle & other thistles? Nasturtium – Are Nasturtium Flowers & Leaves Safe For Guinea Pigs? Can Guinea Pigs Eat Arugula (Rocket)? Which are the best herbs for guinea pigs? This guide is all about those plants that we call herbs. Some are well known, others you might never have heard of! Use the quick links above to scroll directly to the guinea pig herb list at the end of this guide. The word herb is such a broad term and doesn’t really specify particular types of plants, but often instead how they are used by us humans. The most popular herbs that people think of are the plants we love for their strong scent and taste, like parsley, basil and thyme. However, expanding the term “herb” beyond these well known greens opens a whole new world up; not just for us, but for our guinea pigs! Many herbs and herb like plants are some of the most nutritious plants in the world, so it pays to know what you’re looking at, and what you might be able to safely grow for your guinea pigs to forage on as part of their fresh greens diet. One of the most tasty, aromatic, usable and easy to grow herbs around is basil – and guinea pigs tend to like it too. We are of course talking about FRESH basil here – the plant itself. Not dried basil herbs or any other form of processed product. It’s the fresh herb plant of basil that concerns guinea pigs – and of course, provides the most pure form of basil in a way that is totally natural for guinea pigs to eat it: as a plant. Basil contains good levels of Vitamin C, which of course is of vital importance for guinea pigs. Other nutrients in basil include vitamin A, manganese, vitamin K, iron and calcium. Some guinea pigs will go nuts for a few basil leaves once or twice a week, while others seem to have no interest. Basil may be an acquired taste for some as it does indeed have a strong aroma and taste, like most fresh herbs. If you’re growing basil you’ll quickly see how much you end up with, usually way more than you can eat yourself. Guinea pigs can often enjoy munching on the stems even more so than the leaves. 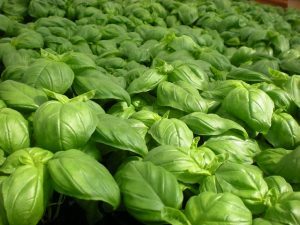 Naturally, home grown basil is considerably better than anything you will buy in most stores – provided of course, that you don’t resort to chemical pest control. 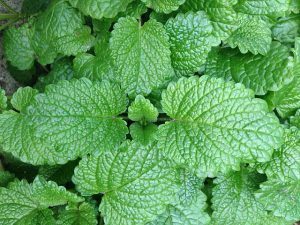 If you grow fresh mint plants at home, you might wonder whether these are something that your guinea pigs can enjoy as well. As most of us know, mint plants have a particularly strong smell and a strong taste and scent, and this means that, while it’s safe for a guinea pig to eat fresh mint leaves, many people find that their piggies don’t actually want to! There’s no harm in trying though and mint might become an acquired taste for your guinea pigs (if they’re game to try it!). Mint is one of the easiest herbs to grow at home, and growing your own removes the worry about buying plants that have had chemical exposure. Besides, having your own mint plants makes it easy to feed small amounts at a time, without anything going to waste. The main vitamins and minerals that mint contains include vitamin C and vitamin A, potassium, magnesium, calcium, phosphorus, and iron. Mint is one of the many herbs that can be included in small amounts to add spice (literally) and variety to guinea pig diets – they can make a good occasional treat. Yarrow (Achillea millefolium) is a plant that you might have growing in your garden. 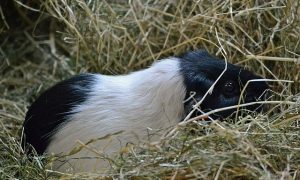 If your guinea pigs are allowed to safely forage, then you’ll need to know that every single plant that they potentially have access to is totally safe for them to be exposed to; whether they choose to taste it or not. Yarrow is often known to grow as a weed in some locations, because of the fact it has been planted as a livestock food. 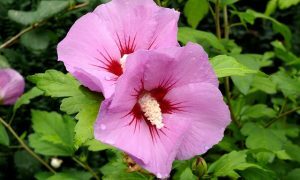 It can grow in virtually any type of soil as long as it gets a good amount of sunlight and is quite hardy when it comes to tolerating frost. Known as a herb, yarrow is used by people for medicinal purposes. Many people find it useful for the treatment of small wounds, muscle cramps and for relaxation. But what about guinea pigs? Is yarrow a safe plant for them to forage on or near? Yarrow is considered safe for guinea pigs. Little is known about just how much is a safe amount though – so as with most other plants, moderation is key. 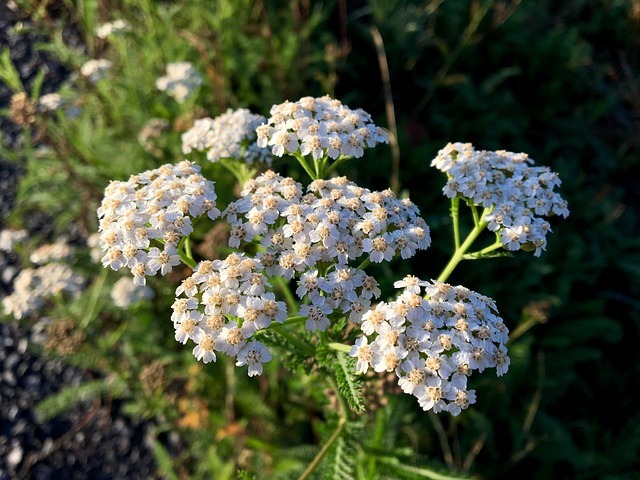 In small amounts, yarrow is not thought to pose a risk to guinea pigs and thus, it can be included in their plant foraging. Epazote is one of those little known herbs. You may not have even heard of it, let alone eaten it yourself. It’s actually used medicinally by humans more so than being eaten as a food like other more common herbs. This herb does have a strong smell and taste. Surprisingly perhaps is a study that was done with the natural oils found in epazote, on guinea pigs with ringworm. They found that these essential oils treated the ringworm effectively within 1-2 weeks. If you frequent farmer’s markets you might have come across epazote though, and given it’s a beautiful green herb plant, wondered whether it’s something that would be safe and appropriate for guinea pigs to eat. Unfortunately, due to its rarity, little is known about epazote’s suitability for guinea pigs. 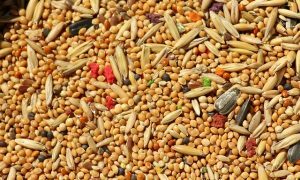 However, it’s not known to be toxic (the seeds do contain some toxins, but guinea pigs should not be eating seeds anyway). Like most herbs, moderation is key for guinea pigs. A small amount of epazote is not known to be problematic. 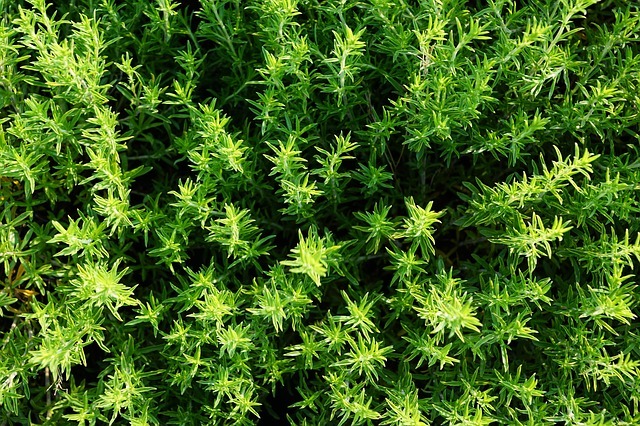 Tarragon is a herb with a intense sweet flavor. 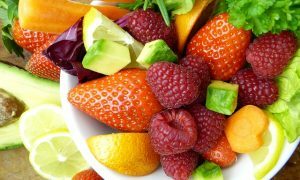 It’s very rich in Vitamin C, Vitamin A as well as calcium and iron. So is it ok for guinea pigs to eat tarragon? It’s not unsafe – so guinea pigs can nibble on some of this herb. But being pungent and strong like most herbs, it’s not something to make a meal out of. A small amount of tarragon is not known to present any problems though. Anise (aniseed) is a plant that people have been using to seeds or fruits from for centuries to add spice to various foods. Anise is sweet tasting and has a strong smell which is often likened to licorice (liquorice). We know that seeds aren’t part of a guinea pig diet. But what about the anise plant itself? The anise or aniseed plant is known scientifically as Pimpinella anisum, and it looks a little bit similar to a fennel plant (which it also tastes similar to), even though they aren’t closely related. Is it safe for guinea pigs to browse near or in a garden that has anise plants growing? The plant isn’t known to be toxic. Whether a guinea pig would take an interest in this aromatic plant is another matter though – you may very well find that they ignore it completely in favor or more familiar grasses, clovers and other edibles. Chives are from the same family of plants as onion and garlic. 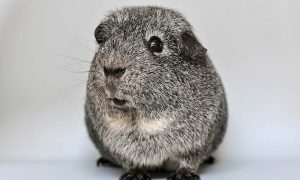 It’s essential that all guinea pig owners are well aware of the necessity to never feed onions to guinea pigs as it’s one of the most dangerous foods that absolutely must be avoided in any quantity or format. So what about chives? Are they just as dangerous for guinea pigs as onions are? Unlike onions which are bulb vegetables, chives are a herb. Chives are not considered toxic to guinea pigs, however they are a herb that’s recommended to only be fed sparingly. Think of a tiny amount once per week, as a good guide. As far as herbs go, chives are at or near the bottom when it comes to guinea pigs eating them. Other herbs like coriander/cilantro and parsley are much more highly recommended, and are often relished by guinea pigs more – and they are known to reject chives altogether which makes it even easier to substitute it for a herb that is both more enjoyable and importantly: more reliably safe without the risks AND can be fed more regularly without worry. No matter which herbs you’re providing, growing your own organically is of course the surest way to know you’re not exposing your guinea pigs to nasty pesticides and other chemicals. Fennel comes from the same family of plants as the humble carrot. For people, the entire fennel plant can be eaten: from the bulb and stalk, to the leaves and seeds. But what about guinea pigs? Can they and should they eat any part of fennel? Some guinea pigs love fennel. It’s widely accepted that fennel is fine for guinea pigs to eat: but avoid the seeds. Yes, the whole fennel plant is fine for guinea pigs to consume. If you have it growing in your garden, they’ll enjoy foraging for their favorite parts! A lot of people find the fennel becomes a real favorite for guinea pigs and they can’t get enough of it! Clearly, if you can grow your own fennel in your veggie garden you’ll not only be sure of a supply of chemical-free fennel for guinea pigs, but also save a lot of money in the process. Milk thistle is a plant known particularly for its potential benefits on liver health. This is a plant that’s so often called a weed thanks to its unexpected appearance in gardens – but those who simply pull out a milk thistle and discard it as an unwanted “weed” are missing out! There’s all different types of thistles, with milk thistle being probably the most well known and familiar. Thistles are a wild plant that guinea pigs can safely browse on or be given. Just make sure you’re confident in your plant identification skills and that what you’re looking at or having grown in your yard is in fact a thistle (note that this name can be used to describe some other plants too!). If in doubt: don’t. Simply take a sample of the plant to your local plant nursery and they’ll be able to identify it for you. And as always, only allow grazing on chemical-free lawns. Thistle leaves become spiky as they mature, and the most edible, nutritious and best leaves for guinea pigs (and us) to eat are the younger softer leaves. Nasturtiums are plants in the genus Tropaeolum. There are many dozens of species, so Nasturtium is a common general name for them all. The exact types of Nasturtiums that you might see will depend where you live. Nasturtiums are a sprawling, low growing herb plant with bright beautiful flowers so they’re a popular garden plant but are also often grown in pots and hanging baskets. Can guinea pigs safely munch on nasturtium plants, including the leaves and flowers or should these plants be avoided? This plant has been declared non toxic to other pets like cats, dogs and horses. And the seeds of the plant are thought to be potentially toxic to humans. So what about guinea pigs? Nasturtium plants are considered safe for guinea pigs, although a lot of people find their guinea pigs aren’t interested in them! If you have a special guinea pig garden, or just have nasturtiums growing where your pets will have access, consider them a safe plant that guinea pigs can have the option of nibbling on the flowers and leaves if they choose to. 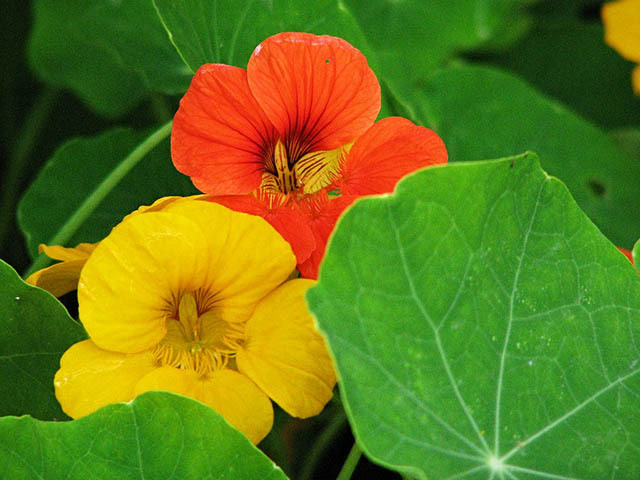 Nasturtium leaves and flowers actually contain a good amount of Vitamin C – bonus! As always: ensure all plants and grass are chemical-free before allowing guinea pigs to forage. Is arugula safe for guinea pigs to eat? Also known as rocket, this is a familiar herb for us humans and it’s something you might have growing in your garden. Is it safe to let your guinea pigs forage with rocket or arugula herbs? First things first: despite how we refer to it, arugula isn’t really a herb. Due to its bitter and strong taste, it’s often used like a herb or in salad mixes. 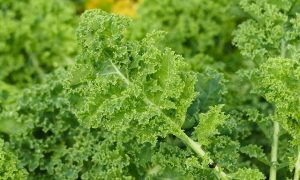 It’s part of the cruciferous vegetable so it’s more related to cabbage, kale and broccoli than it is to real herbs like parsley. And like the greens of other plants in the Brassicaceae family, rocket/arugula is quite high in calcium and vitamin A. This relegates it to an occasional offering, but not something to give guinea pigs on a daily basis.